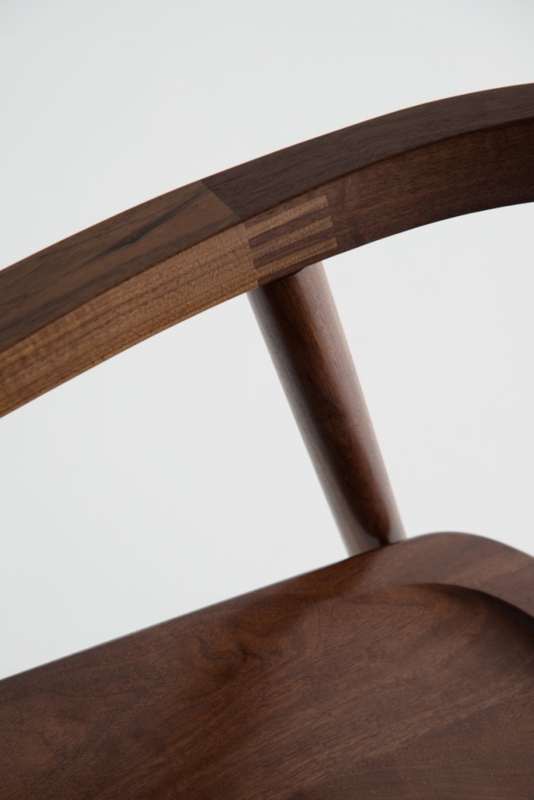 The Cumberland Chair embodies our enduring commitment to simplicity. Though inspired by Danish Modern forms, the Cumberland Dining Chair has its own perspective and is an artistic interpretation of its historical antecedents. 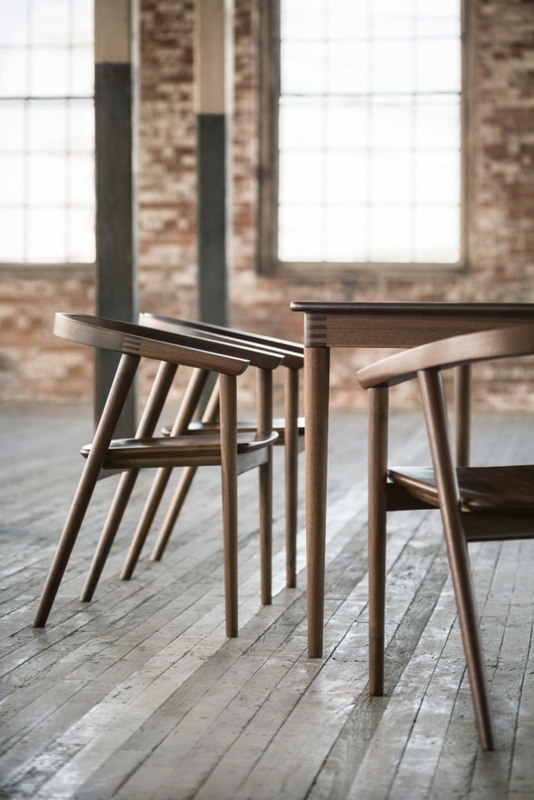 Released in 2014, the Cumberland Dining Chair has become a quick customer favorite. Due to the well-considered geometry of the seat and the relationship to the continuous arm and crest rail, the saddled solid wood seat provides comfort without relying on the use of an upholstered foam seat. Available to ship immediately. Select option to add to cart. Not immediately apparent at first glance are the nuanced relationships of the parts that inform the proportion of the Cumberland Chair. 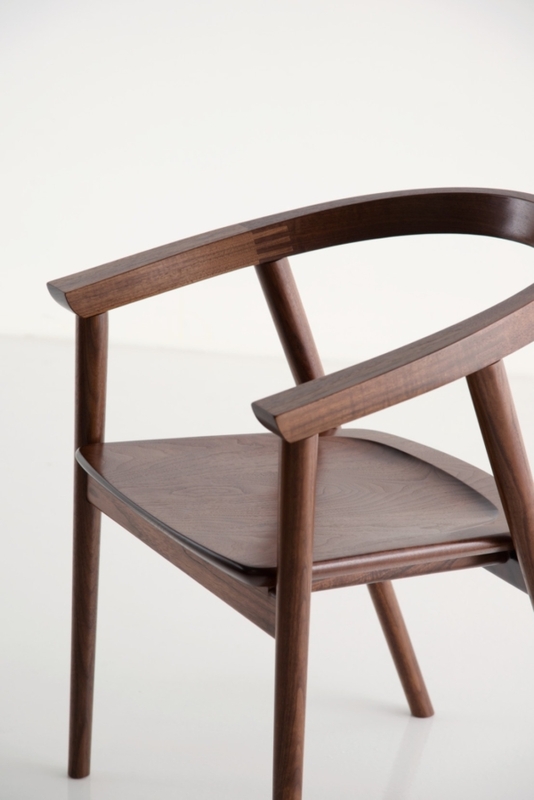 Characteristic of Moser, we’ve simplified the form through innovation – notably the double-housed mortise-and-tenon joint used to secure the chair rails and support the saddled solid wood seat – stripping the design to its most elemental form. This effort at minimalism produces a form of functional elegance, where every part serves a vital purpose, resulting in unmatched simplicity, beauty, and utility. The innovation of the Cumberland Chair starts with its structure. 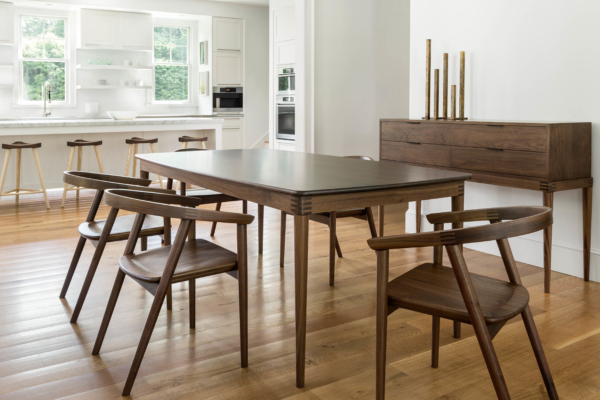 The rails that span the legs of the Cumberland Chair and support the saddled solid wood seat employ a double-housed mortise-and-tenon joint, allowing us to achieve the desired simplicity without compromising strength. Atop the turned tapered legs sits the continuous arm and crest rail. 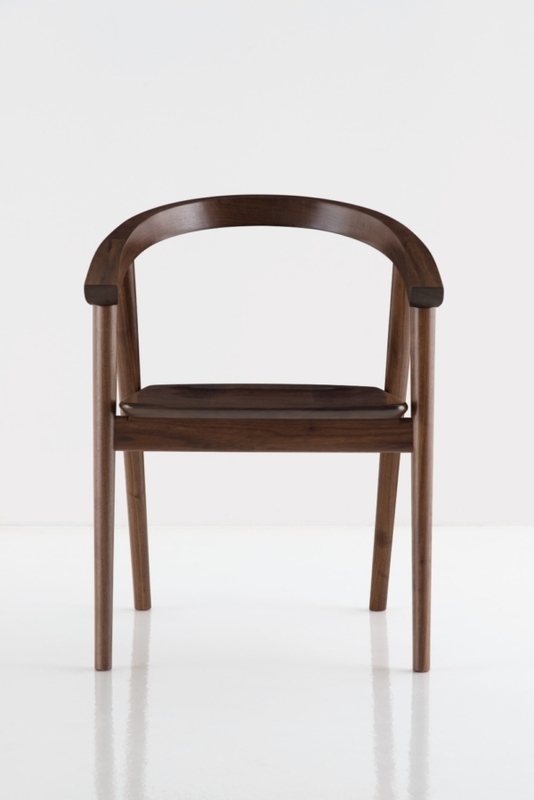 This element is the sum of three pieces, a single solid wood steam bending at the back, joined with the collection’s hallmark visible finger joint to the arms. Due to the well-considered geometry of the seat and the relationship to the continuous arm and crest rail, the saddle provides comfort without relying on the use of an upholstered foam seat. This decision reduces the thickness of the seat, which creates a visual lightness, furthering the simplicity that is characteristic of this collection. The Cumberland Chair has been recognized for its innovation and style with a 2015 GOOD DESIGN™ Award, as granted by The Chicago Athenaeum: Museum of Architecture and Design.